L’Oreal was looking to generate product trial and sales volume for their Big Pony Collection amongst the university and college segment. As the promotional hook, we invited students to show off their moves on Dance Central on Xbox Kinect at high traffic campus events and concerts. Students received a product sample or scented leaflet and were encouraged to purchase their favourite Big Pony fragrance at the nearest supporting retailer. 25,000 live consumer interactions were generated. 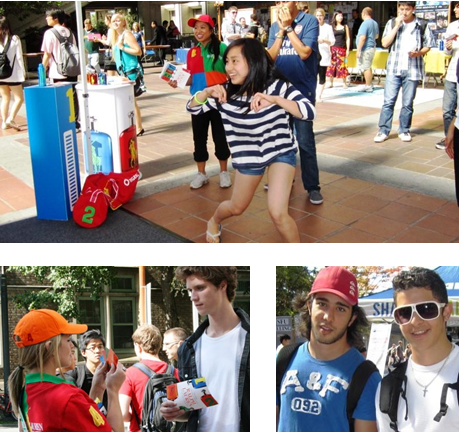 And, over 19,000 product samples and scented leaflets were distributed to students. 3 months following launch, Big Pony was the #1 sold fragrance collection.